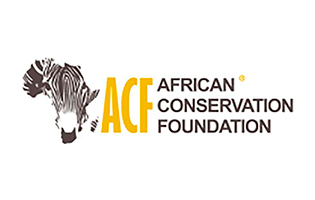 ACF promotes communication and collaboration among African conservation groups, initiatives and NGOs. They have been working towards the protection of Africa’s endangered species and habitats since 1999. ACF also has a specific program that gives volunteers the opportunity to work in the field for a couple of weeks and contribute towards the protection of Cross River gorillas in Cameroon. The African Wildlife Foundation (AWF), founded in 1961 as the African Wildlife Leadership Foundation, is an international conservation organization that focuses on critically important landscapes in Africa. AWF is headquartered in Nairobi, Kenya, with international offices in Washington, D.C.; Livingstone, Zambia; Arusha, Tanzania; and Kinshasa, DR Congo. The Ape Alliance, which started in 1996, is an international coalition of organizations and individuals working for the conservation and welfare of apes. The Arcus Foundation, based in New York, US and Cambridge, U.K., works globally to support partners in pursuit of lasting change. 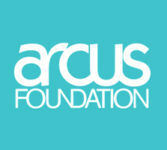 Arcus takes bold risks on groundbreaking ideas that drive progress toward a future of respect and dignity for all. 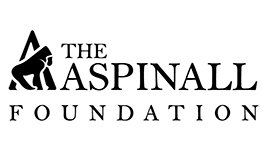 The Aspinall Foundation is a registered U.K. charity that is actively involved with projects that incorporate a diverse range of conservation activities both at their Kent-based Howletts and Port Lympne Wild Animal Parks, in addition to well-established overseas projects in Congo and Gabon and more recent developing projects in Indonesia and Madagascar. Barcelona Zoo is located in the Parc de la Ciutadella in Barcelona, Spain. The zoo used to be internationally known as the home of Snowflake, the only known albino gorilla, who died in 2003. B&RD focuses on the survival of gorilla populations that are particularly at risk. For this purpose, B&RD support forest conservation and the protection of gorillas. Currently, B&RD supports projects in the geographical range of the Eastern gorillas (DR Congo, Uganda, Rwanda) and in the range of the Cross River gorillas (Nigeria and Cameroon). Occasionally, B&RD has provided urgently needed support to projects for the protection of Western Lowland gorillas. The Bonobo Conservation Initiative is a non-profit organization based in Washington, D.C. and the DR Congo that promotes conservation of the bonobo and its habitat in the tropical forests of the Congo Basin. BNF works to protect some of the most important areas of tropical rainforest in Borneo, including the peat swamps of Sabangau, home to the world’s largest orangutan population. BNF monitors the behavioural ecology of the forest’s flagship ape and cat species, carries out biodiversity and forestry research, and works with local partners to develop conservation solutions and improve capacity for conservation in the region. 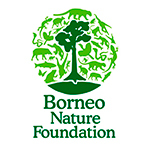 Established in 1991, BOS Foundation is an Indonesian charity organization dedicated to the conservation of the Bornean orangutan and its habitat, in cooperation with local communities, the Indonesian ministry of forestry and international partner organizations. The Born Free Foundation is a dynamic international wildlife charity that was founded in 1984. Born Free takes action worldwide to save wildlife, stop suffering and protect species in the wild. Born Free never forgets the individual. Born Free’s emergency teams rescue vulnerable animals from appalling lives of misery in tiny cages, often barren of any enrichment, and gives them lifetime care in spacious bush sanctuaries. 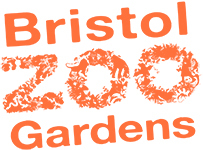 The Bristol Zoological Society – a conservation and education charity — is comprised of three distinct parts: Bristol Zoo Gardens, a five-hectare zoo in the heart of Bristol; he Bristol Conservation and Science Foundation, which is responsible for conservation work; and the National Wildlife Conservation Park, a proposed, 55-hectare zoological park located at Cribbs Causeway, Bristol. BCFS is registered as a Ugandan charity that generates world-class scientific research on primates and topical forest ecology. BCFS is involved in research programmes that encompass other biological taxa, and use the information to support policy development, conservation action and sustainable resource management. The Canadian Ape Alliance, which was established in 2000, focuses on community development and education conservation projects in East Africa. 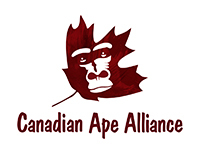 The Canadian Ape Alliance is led by Dr. Kerry Bowman, a bioethicist and a member of the faculty at the University of Toronto who has worked in great ape conservation for over 20 years. Care for the Wild International is a U.K.-based charity dedicated to the protection of wildlife in the U.K. and around the globe. Care for the Wild International works to help secure a world where the needs of wildlife are never an afterthought to the needs for growth, development, profit, sport or greed. 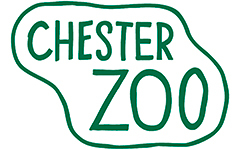 Chester Zoo’s mission is to be a major force in conserving biodiversity worldwide. To this aim, the zoo currently cares for more than 400 different species in the zoo – about half of which are endangered. At home and abroad, the Chester Zoo supports and conducts approximately 150 field projects for conservation and education in more than 50 countries. 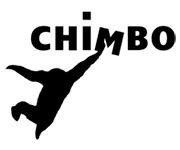 The CHIMBO Foundation is the only conservation organization working specifically on the conservation of chimpanzees in Guinea-Bissau, and focuses on promoting sustainable development practices for mining, logging, tourism, and human development projects. The foundation was established in memory of Dutch naturalist David Goedmakers. For more than 25 years, Conservation International has been protecting nature for the benefit of everyone on Earth. CI has 900 people in 30+ countries helping to build a healthier, more prosperous and more productive planet. CTPH aims to be an internationally-renowned leader in gorilla research and conservation by improving the health of humans, wildlife and ecosystems that surround the gorillas, and by using a multidisciplinary approach which promotes sustainable animal and human health services, advocacy, education, and research. 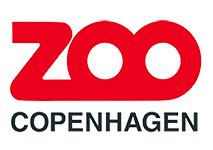 Copenhagen Zoo has a very strong environmental and conservation profile and contributes effectively to the conservation of endangered species both in-situ and ex- situ, including great apes and their habitats. Copenhagen zoo contributes to conservation via their many global projects, which comprise education and outreach, local capacity building, active participation in conservation campaigns and high quality research. The Dian Fossey Gorilla Fund International is dedicated to the conservation and protection of gorillas and their habitats in Africa. DFGFI is committed to promoting continued non-invasive research on the gorillas and their threatened ecosystems and to providing education about their relevance to the world in which we live. Endangered Species International is strongly committed to reversing the trend of human-induced species extinction, saving endangered animals, and preserving wild places. EAZA represents and links 345 member institutions in 41 countries. 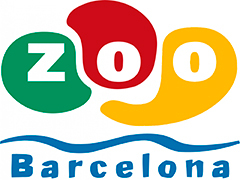 Formed in 1992, EAZA’s mission is to facilitate cooperation within the European zoo and aquarium community towards the goals of education, research and conservation. 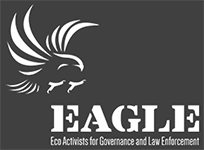 The EAGLE Network is an umbrella organization established by illegal trade activist Ofir Drori that unites investigation units in Cameroon, Congo, Uganda, Togo, Guinea, Benin, Gabon, Senegal and the Central African Republic. EAGLE operations have jailed more than 1,000 illegal traders and exposed corruption throughout African legal systems. Fauna & Flora International is a proven conservation innovator that continues to make a lasting impact on global biodiversity – the variety of life on Earth. Fauna & Flora International’s work spans across the globe, with over 140 projects in over 40 countries, mostly in the developing world. Gorilla Doctors are dedicated to conserving wild Mountain and Eastern Lowland (or Grauer’s) gorillas through life-saving veterinary medicine and a “One Health” approach. Gorilla Doctors’ international team of veterinarians is the only group providing these critically endangered animals with direct, hands-on care in the wild. The Gorilla Organization works at the forefront of gorilla conservation with innovative and award-winning projects in Rwanda, Uganda and DR Congo. The Gorilla Organization’s field staff in Africa is supported by fundraising and communications teams in London, and oversees a range of grassroots conservation projects, all of them aimed at addressing the key threats facing gorillas today. As a project affiliated with Congo’s Nouabalé-Ndoki National Park, the Goualougo Triangle Ape Project has many opportunities to share results and insights with scientific colleagues, timber industry managers and political leaders that have facilitated efforts to better protect chimpanzees and gorillas at the national scale. 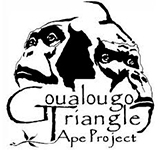 The Goualougo Triangle Ape Project’s “action-oriented” research is intended to assist the government in managing its forest resources, in particular those that might impact great apes. The Great Apes Film Initiative is an innovative, grass-roots organisation that aims to promote the conservation of great apes and their habitats by engaging and inspiring people to create local and sustainable solutions to the problems facing great apes and their environments around the world. The Great Ape Trust in Des Moines’, Iowa is a sanctuary and research facility that focuses on communication and cognition among primates. The establishment’s purpose is to investigate and analyze the origins and future of culture, language and intelligence. 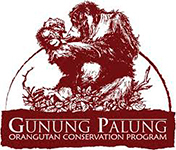 The Gunung Palung Orangutan Conservation Program (GPOCP) grew out of the research project undertaken by Dr. Cheryl Knott in 1994 that focused on the estimated 2,500 wild orangutans – or 14 percent of the remaining species — in the Gunung Palung National Park. The decision to engage nearby communities in the protecting park and its wildlife have helped the project thrive. The Houston Zoo, which was established in the early 1900s, is the first American zoo to become a GRASP partner. The Houston Zoo cares for over 6,000 animals in captivity and is at the forefront of species conservation among U.S. institutions, currently funding orangutan conservation in Borneo and chimpanzee conservation in Senegal. Humane Society International works to protect all animals in the world – including animals in laboratories, farm animals, companion animals, and wildlife. HSI’s record of achievement is a result of that dedication and effectiveness. HUTAN is a French charity established in 1996 by Dr. Isabelle Lackman, a primatologist, and Dr. Marc Ancrenaz, a wildlife veterinarian. The primary aim of HUTAN is to study orangutans in the Malaysian Borneo state of Sabah. ITFC is a post-graduate institute – established in 1991 under Uganda’s Mbarara University of Science and Technology- that focuses on research, training and monitoring for conservation management. ITFC is located inside the Bwindi Impenetrable National Park in southwest Uganda, a World Heritage site and the homeland of critically endangered Mountain gorillas. International Animal Rescue saves animals from suffering around the world. IAR’s work includes cutting free and caring for dancing bears in India, rescuing orangutans from captivity in Indonesia and sterilising and vaccinating stray dogs and cats in developing countries. Wherever possible, IAR returns rescued animals to their natural environment but also provide a permanent home for animals that can no longer survive in the wild. Founded in 1969, the International Fund for Animal Welfare saves individual animals, animal populations and habitats all over the world. With projects in more than 40 countries, IFAW provides hands-on assistance to animals in need, whether it’s dogs and cats, wildlife and livestock, or rescuing animals in the wake of disasters. IFAW also advocates saving populations from cruelty and depletion, such as the campaign to end commercial whaling and seal hunts. 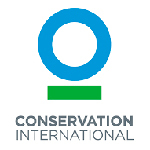 The International Gorilla Conservation Programme is a coalition of international conservation organizations joining forces with national and local partners to ensure the long-term survival of the now critically-endangered Mountain gorillas and their regional forest habitat in Rwanda, Uganda and the DR Congo. The International Ranger Federation is a non-profit organization established to raise awareness of and support the critical work that the world’s park rangers do in conserving natural and cultural heritage. Founded in 1992, the IRF has a membership of 63 ranger associations from 46 countries on 6 continents. Founded by renowned primatologist Jane Goodall, the Jane Goodall Institute is a global nonprofit that empowers people to make a difference for all living things. JGI’s programme builds on Dr. Goodall’s scientific work and her humanitarian vision. Lukuru Wildlife Research Project is a wildlife research foundation that has been working in the Democratic Republic of Congo for over 20 years and focusing primarily on bonobos. Their objective is to conserve great apes by engaging the local community into a conjoined effort. Orangutan Appeal UK is a UK-based organization that was established in 2000 to provide funding and logistical support to conservation projects in both Malaysian and Indonesian Borneo. The Orangutan Appeal UK also works closely with the Sabah Wildlife Department to monitor reintroduced orangutans in the Tabin Wildlife Reserve. The Orangutan Conservancy is dedicated to the protection of orangutans in their natural habitat through research, capacity building, education and public awareness programs, and by supporting numerous on-the-ground efforts to save Southeast Asia’s only great ape. The Orangutan Foundation is a U.K. registered charity working to conserve the threatened orangutan and its globally important habitat, the tropical forests of Borneo and Sumatra. OFI is a nonprofit organization dedicated to the conservation of wild orangutans and their rainforest habitat. OFI also supports research on orangutans and forests, education initiatives, both local and international, and brings awareness concerning orangutans wherever it can. PASA is a non-profit organization working to protect Africa’s primates and their habitats. PASA works with member sanctuaries and international experts to halt bushmeat hunting, the illegal pet and commercial trade and the widespread habitat destruction that threatens Africa’s primates with extinction. PanEco is an international non-profit foundation with headquarters in Switzerland that focuses on nature conservation and environmental education in Indonesia. PanEco implements projects and supports local partner organizations through technical advice and funding. POPOF-I is a charity organization created by local communities in and around the Kahuzi-Biega National Park in eastern DR Congo. POPOF-I works for the long-term conservation of the park and the sustainable development of community-led projects. The Rural Environment and Development Organisation has been working in rural regions of Rwanda and the Great lakes region since 1999. REDO works towards promoting environmental sustainability through conservation development projects, thus resulting in benefits for both local communities and the environment. 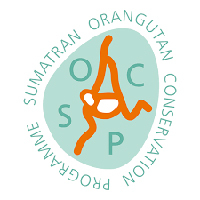 SOCP endeavors to conserve viable wild populations of the critically endangered Sumatran orangutan through habitat protection, reintroduction of confiscated pets to the wild, education, survey work and scientific research. Sumatran Orangutan Society works to find local, national and international solutions to the root causes of deforestation. SOS’ ultimate aim is to protect, extend and secure the habitat of wild orangutans to stabilise and grow the population. The Orangutan Project is a not-for-profit organization, supporting orangutan conservation, rainforest protection, local community partnerships and the rehabilitation and reintroduction of displaced orangutans back to the wild, in order to save the two orangutan species from extinction. TRAFFIC, the wildlife trade monitoring network, is a leading non-governmental organization working globally on trade in wild animals and plants in the context of both biodiversity conservation and sustainable development. Tusk Trust is a small, dynamic organisation with over 20 years’ experience initiating and funding conservation, community development and environmental education programmes across Africa. Tusk Trust currently supports 52 field projects in 17 African countries that not only work to protect wildlife, but also help to alleviate poverty through sustainable development and education amongst rural communities who live alongside the wildlife. The Twycross Zoo cares for the largest collection of primates in Europe and North America, and celebrated its 50th anniversary in 2014. The zoo re-launched itself eight years ago as “Twycross Zoo – The World Primate Centre,” and is also among the industry leaders in environmental sustainability and field conservation support. The aim of the Wild Chimpanzee Foundation is to enhance the survival of the remaining wild chimpanzee populations and their habitat, the tropical rain forest, throughout tropical Africa. WCF hopes to reach this goal for 20-25’000 chimpanzees in the 17 countries in which they still exist in fairly intact habitat and to cover thereby the behavioral diversity of the species, still widely unknown today. The Wildlife Conservation Society, founded in 1895, works to save wildlife and wild places across the globe. WCS began by protecting American bison in the western plains of the U.S. over a century ago, and today helps protect many of the world’s iconic creatures, including gorillas in Central Africa, tigers in India, wolverines in the Yellowstone Rockies, and whales in the world’s seascapes. Wildlife Direct is a Kenyan NGO and US registered 501(c) (3) organization co-founded in 2004 by Kenyan conservationist Dr. Richard Leakey, who is credited with putting an end to the elephant slaughter in Kenya in the 1980s and delivering an international ban on ivory trade, and Hal Wackman, previous World Bank Country Director in Kenya. The Wildlife Friendly Enterprise Network is a global community dedicated to the development and marketing of products that conserve threatened wildlife while contributing to the economic vitality of rural communities. WFEN includes conservationists, businesses, artisans, producers and harvesters. WWF works in 100 countries and is supported by 1.1 million members in the United States and close to 5 million globally. WWF’s combines global reach with a foundation in science that ensures the delivery of innovative solutions that meet the needs of both people and nature. Founded in 1826, the Zoological Society of London is an international scientific, conservation and educational charity whose mission is to promote and achieve the worldwide conservation of animals and their habitats.